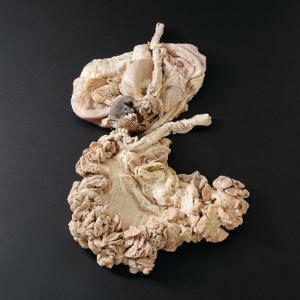 This formalin-preserved digestive tract is available in pails. This specimen includes a complete alimentary canal: esophagus, stomach, small and large intestines, and colon. It features high-quality preservation and mammalian anatomy.